Leave the dirty work to Pristine Home and book our North Shore house cleaning service today. 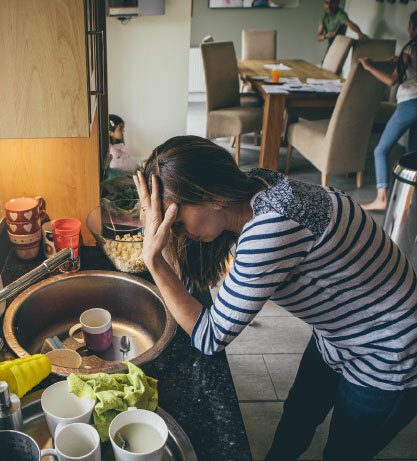 Not only will our team of police-checked cleaners leave your home sparkling fresh, they’ll also help you reclaim some extra time – time that was previously spent on cleaning – for yourself and family. Do you spend most of your free time cleaning and organising the house? Let us take care of tidying up your home so you can get your leisure time back and do things you love. Our domestic home clean includes basic tidying: cleaning bathrooms and kitchen, vacuuming and mopping floors, dusting and general cleaning. Our professional cleaners can also help you with basic laundry and bed making. When vacating a rented property, you need to ensure that the place is restored to the condition that it was in before you moved in. This way, it is easier for your landlord to rent out the property to a new tenant, and you have a better chance of getting your deposit back. For vacate cleaning, it is best to hire the services of Pristine Home. We are familiar with agent’s cleaning requirements and ensure that the leased house will be organised and sanitised thoroughly. If you are moving out of your North Shore rental, one of the most important things you need to do is to fix any changes you made with the property and complete the cleaning checklist that your landlord will give you. But why worry about end of lease cleaning when you already have a lot of packing to do? Let our professional end of lease cleaners perform a thorough cleaning of the rented property and restore it as close to its original condition as possible. Schedule our cleaning service before the final inspection to get your deposit back from your landlord. While apartments have limited spaces, they accumulate dust and dirt quite easily especially when you live in a busy area. Cobwebs and fungi can also collect on the walls because of moist conditions, which is why it’s important to do a regular cleaning to remove molds and dust buildup. Our apartment cleaning service starts with a detail-clean of the kitchen and bathrooms. After which, we will work on cleaning the living and sleeping areas. Spring cleaning is done to get rid of winter’s mess. During the colder months, most of us stay at home, close the blinds, and sit by the fireplace. So when spring comes, we are motivated to open the drapes, and spend time out in the sun. But before you prepare for spring time festivities, make sure that any soot buildup on the fireplace is removed, and the icy windows are wiped clean. Pristine Home specialises in spring cleaning. Our professional cleaners will clean counter tops, glass surfaces, tiles on the bathroom, and door frames, among other areas. Cleaning the bathroom is understandably one of the household chores that homeowners dread doing. You have grimy surfaces to scrub, walls with traces of soap, and a toilet bowl with water stains that are a pain to remove. Luckily, our professional bathroom cleaners are experts in cleaning bathroom surfaces, removing excess hair from the floor, and getting rid of water stains on toilet bowls. Schedule a bathroom cleaning appointment and we’ll leave your bathroom feeling and looking like the sanctuary it’s designed to be. If you are nearing the end of your lease, there are several things to think about: finalising the bills, fixing any changes you made with the rental property, and packing all your belongings. Plus, you have to spend a whole day making sure you cleaned the house the way your landlord specified. Instead of worrying about the cleaning aspect of moving, let our reliable cleaners prepare the rented property for the next renter. Our move out/ move in cleaning will be based on your landlord’s cleaning requirements. At Pristine Home, we care about the customers’ satisfaction, and strives to deliver top notch service every time. If you find that our service falls short of your expectations, we will resolve any issues for FREE, no excuses. House cleaning draining your energy? Doing house cleaning is exhausting. Many homeowners who try to do it on their own end up abandoning the task altogether. The reality is that maintaining cleanliness in the house can prove to be an uphill battle especially for people who have to juggle other tasks at home. If home cleaning is taking your time away from more important things, a cost-effective remedy is to schedule a cleaning appointment with Pristine Home. Our professional cleaners are experts at organizing, cleaning, and disinfecting different areas within residential and commercial properties. Get your leisure time back, and let our cleaners get the job done. 10 Yeas Experience: We’ve been operating in North Shore and the surrounding suburbs for 10 years now! Our cleaning services are priced modestly to conform to the current rates of other cleaning services in the North Shore area. We make sure that you will be paying just the right amount while still providing you with great cleaning service. we know that your free time is precious – you work hard all week, and we understand that you want to enjoy a fresh, clean home in your precious downtime. That’s why we pride ourselves on offering a fast and efficient service to maximise convenience for you. All our trainers are thoroughly traned to ensure that each client receives a high quality, consistent cleaning service – no matter if it’s a one-off spring clean or a weekly service. You’re in good hands with Pristine Home. Each cleaner we employ is rigorously interviewed , vetted and police checked to give you peace of mind that you will receive a professional, trustworthy cleaning service. Booking A Clean Is Easy! Booking a home or office cleaning with us is as easy as 1-2-3. 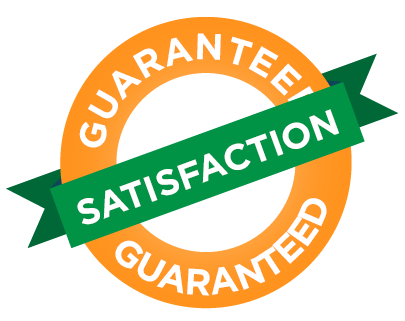 Just book a cleaner online and review the instant quote that will appear. The process takes less than 60 seconds, and we’ll take care of everything from there. We continue to receive great feedback from your customers for the quality of our service and the efficiency of our cleaning staff.